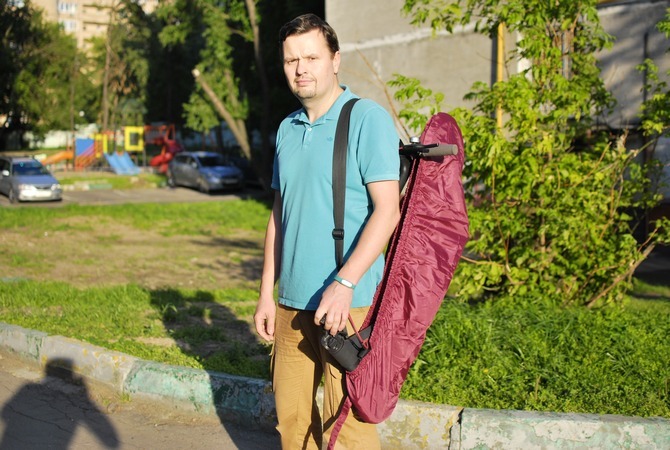 More and more people are choosing scooters to move around the city. And often have to go with them in public transtort. 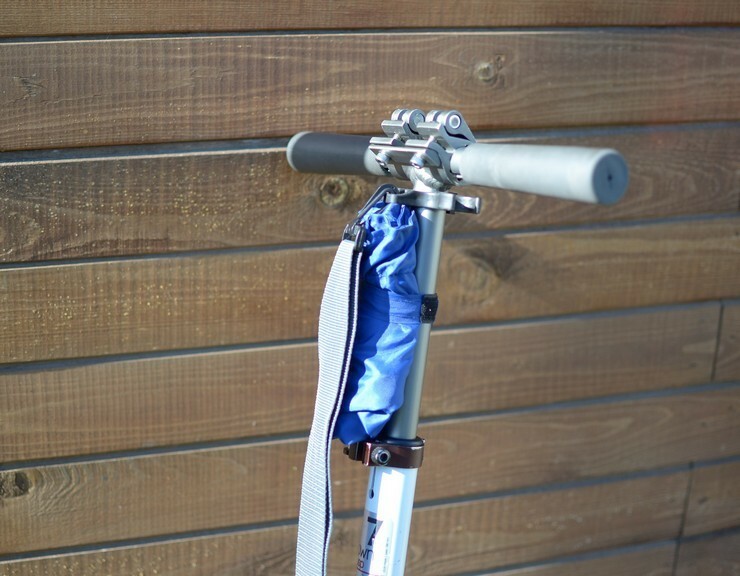 we have developed universal practical covers and belts for scooters. 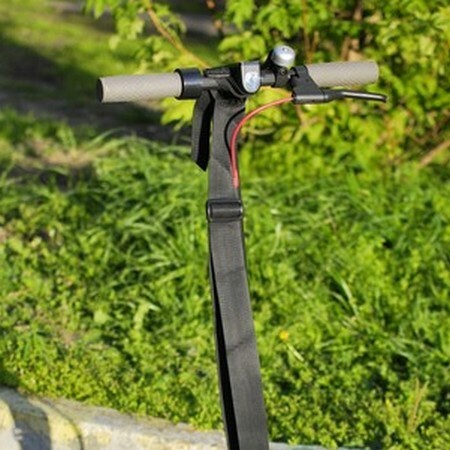 The cover is put on the scooter with the easy movement of a hand. It weighs no more than 100 grams. 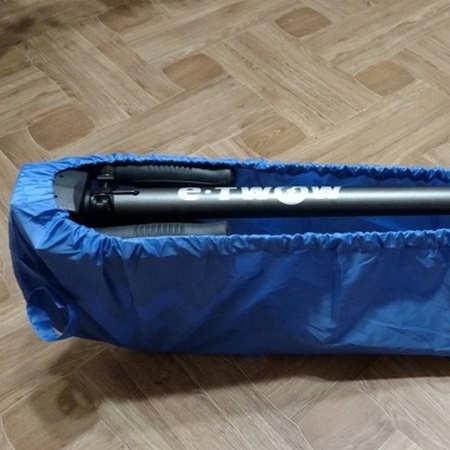 Takes a minimum of space and can be fixed on the steering rack. 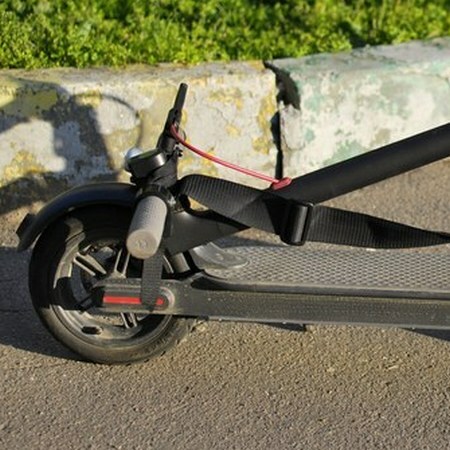 It closes both wheels and scooter deck. 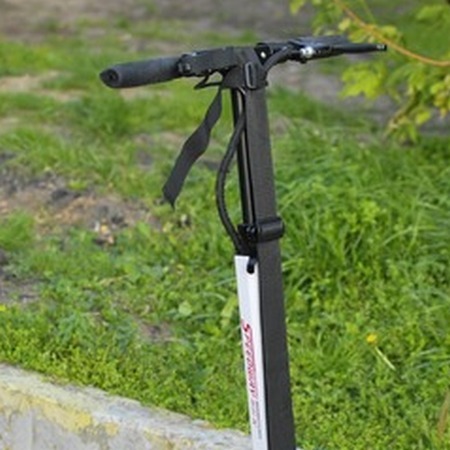 The waterproof material allows the packaging of a wet scooter. 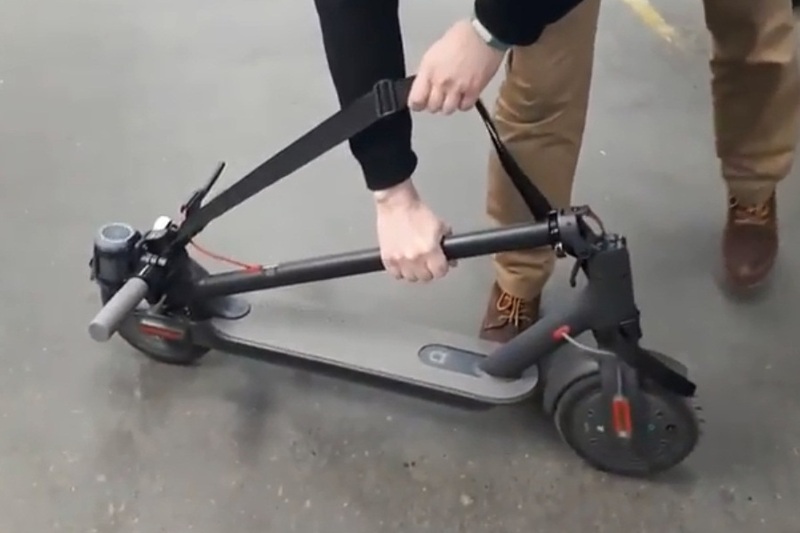 Convenient to use with a belt mounted on a scooter. 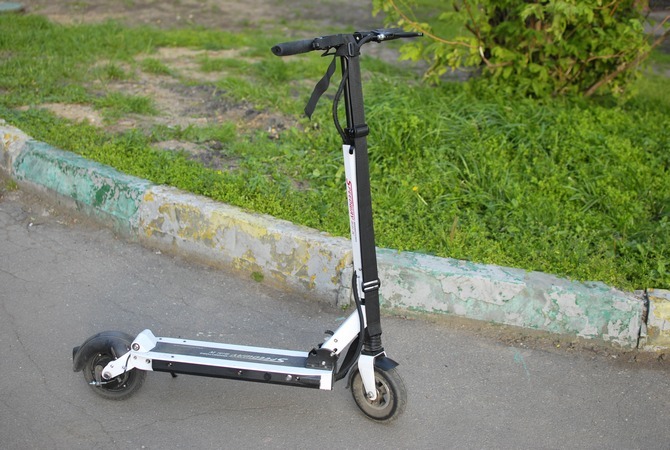 "L" for most scooters, in which the distance between the extreme points of the wheels when folded is 70-80cm. 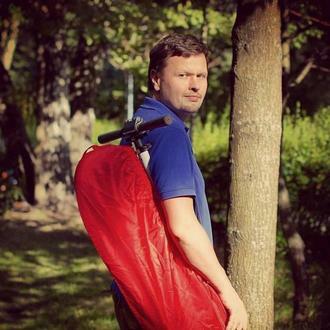 Oxelo 7XL, Shulz 200 Pro and the like. 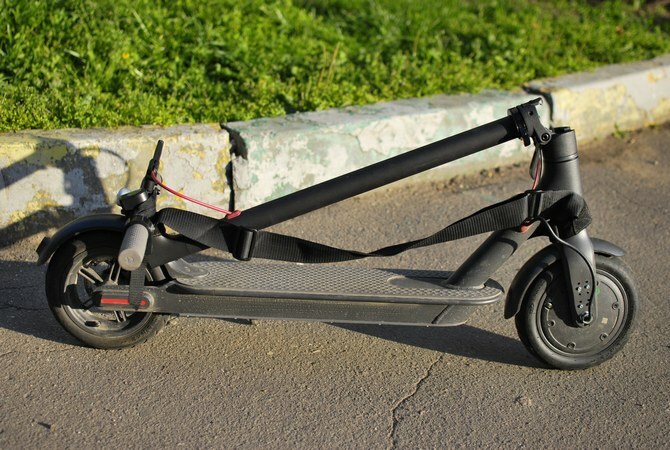 "XL" for scooters, in which the distance between the extreme points of the wheels when folded is 80-90cm. 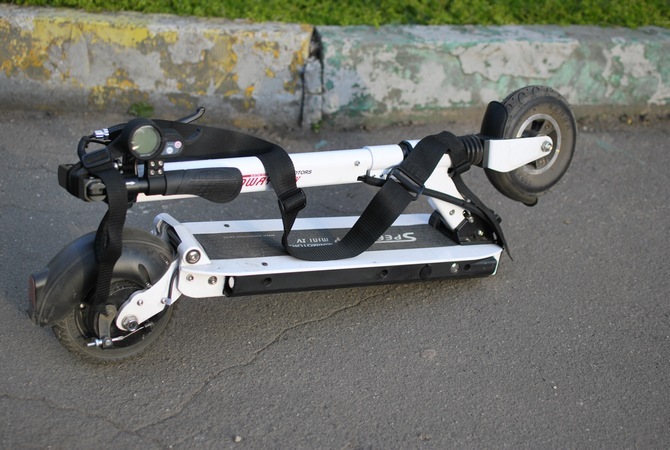 Suitable for Oxelo 7EF and 9 EF, Y-Scoo 205 Allroad, Micro Suspension, Jack Hot electric scooter. 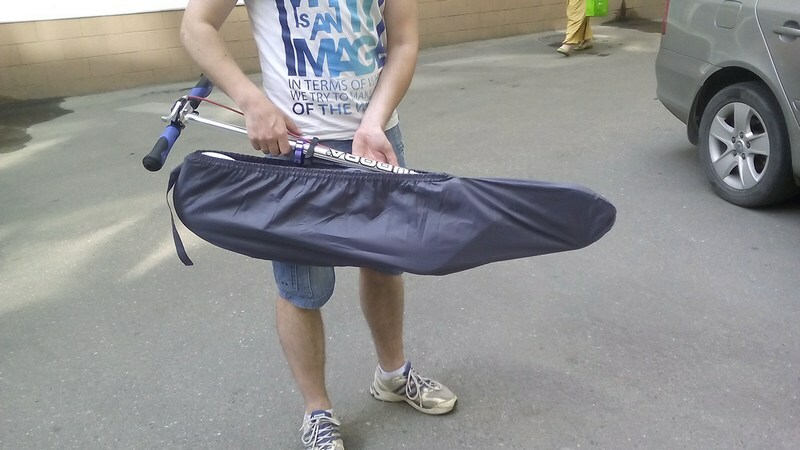 "XXL" for scooters up to 110cm. 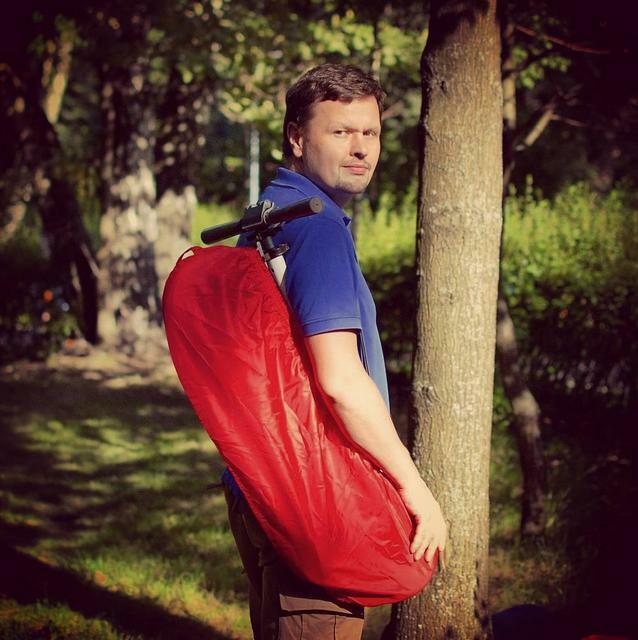 Hudora / Trolo (Trolo) Big Wheel 205 and Style 230. Also suitable for Xiaomi Mi Mijia, E-TWOW S2, Kugoo S2, Inmotion L8F, Speedway 4, Ninebot ES2, ES4 et al. 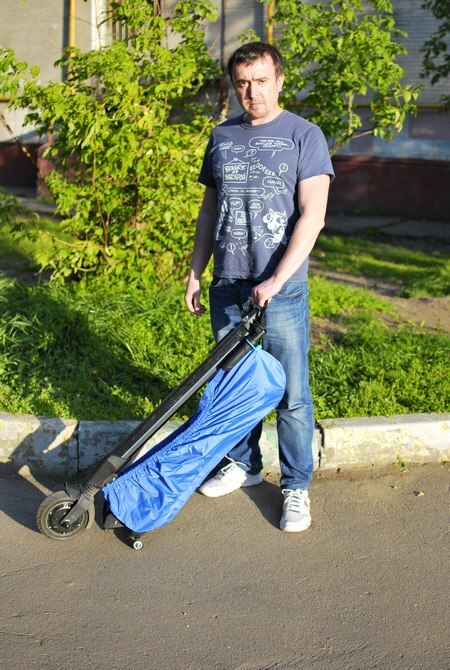 "XXXL" for scooters up to 130cm. Kugoo M4, Speedway 4 et al. 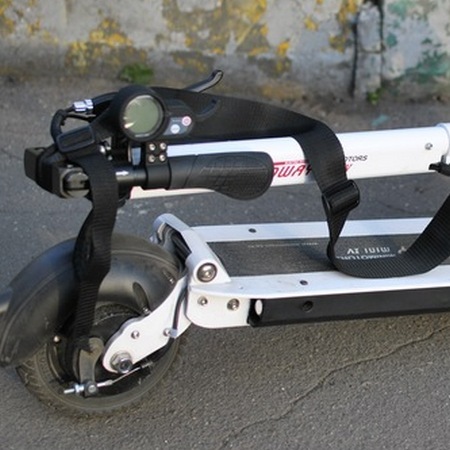 "Inm" is specially designed for Inmotion L8F, covers only the deck and rear wheel. 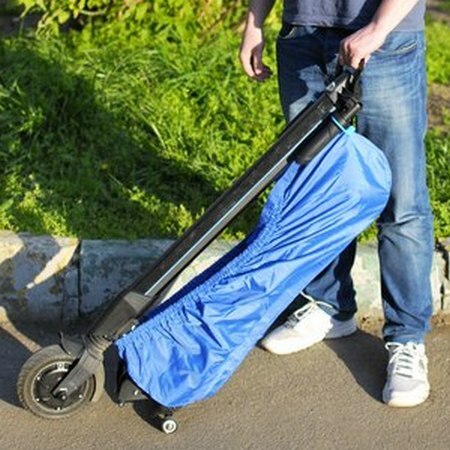 Allows to transport the scooter in trolley mode. 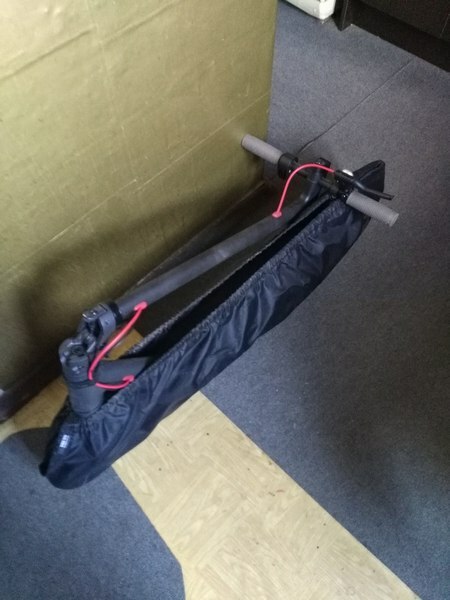 The cover is a large bag with an elastic band that completely covers the wheels and the scooter deck. 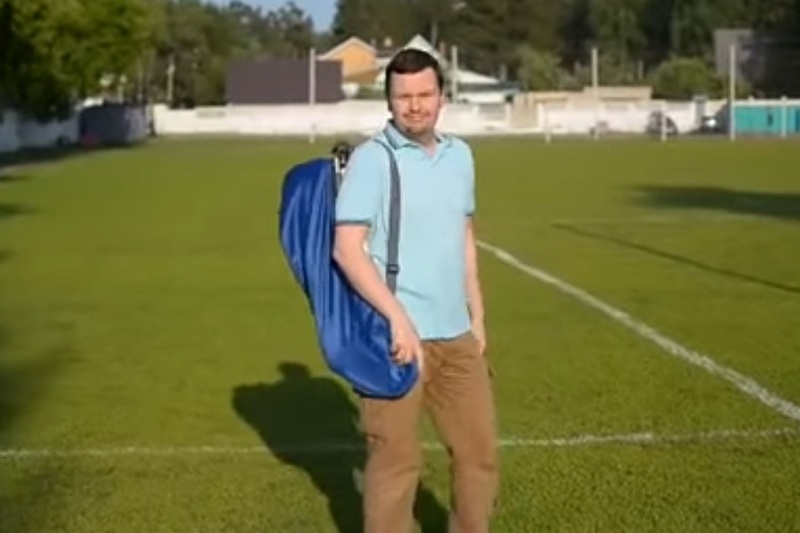 There is no belt or handles. Material waterproof with PU coating. 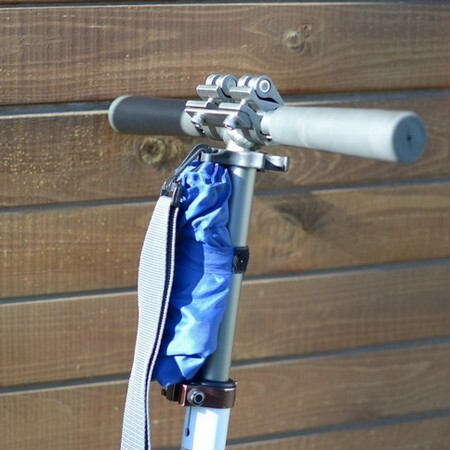 When folded, the cover practically does not take up space, and if necessary it can be mounted on the steering rack. 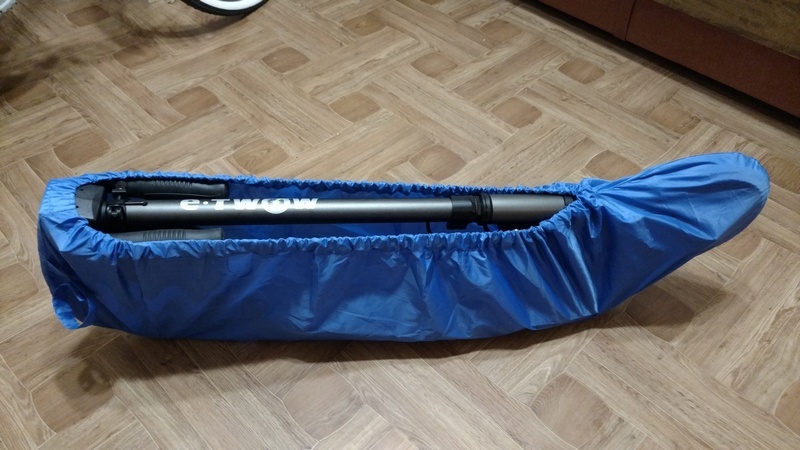 The weight of the cover is only 80-100 grams. depending on the model. Colors: black, claret, blue, red, green. 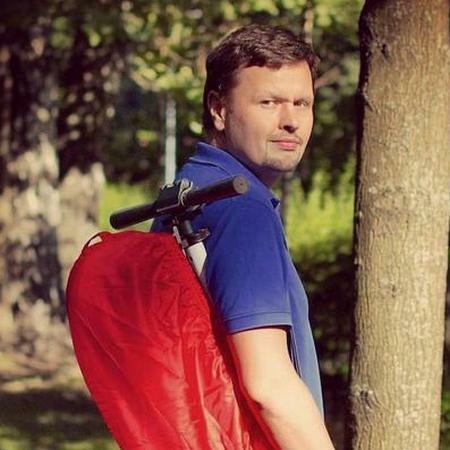 Also available is a universal shoulder strap for carrying a scooter. This is a slightly redesigned analog of the Xootr belt. 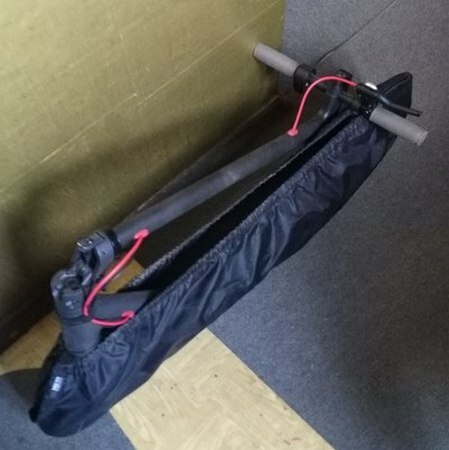 A wide 50mm sling allows you to carry even heavy electric scooters. 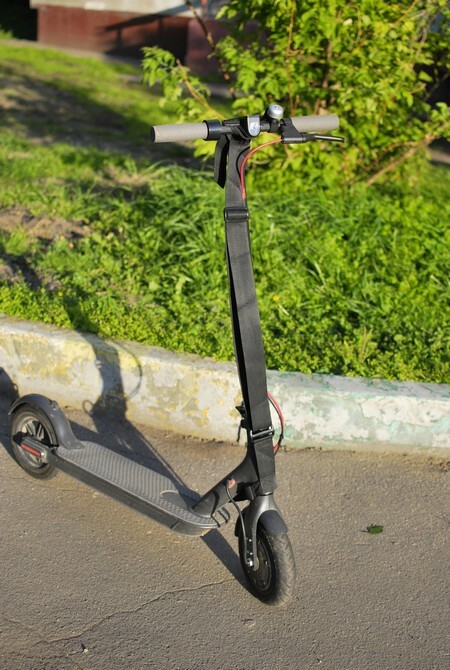 Tested on Shulz 200, Xiaomi Mijia M365, Ninebot 2/4ES, E-TWOW, Speedway 4 mini and Jack Hot. 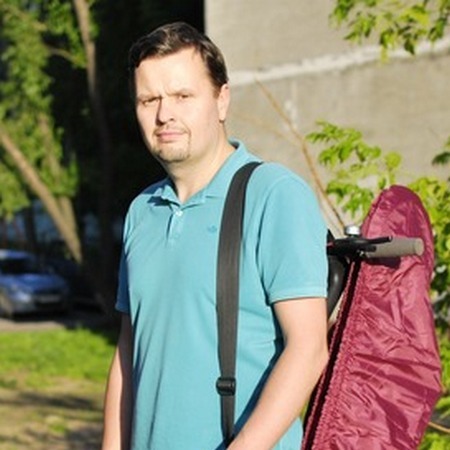 Covers can be purchased from me personally in Moscow. 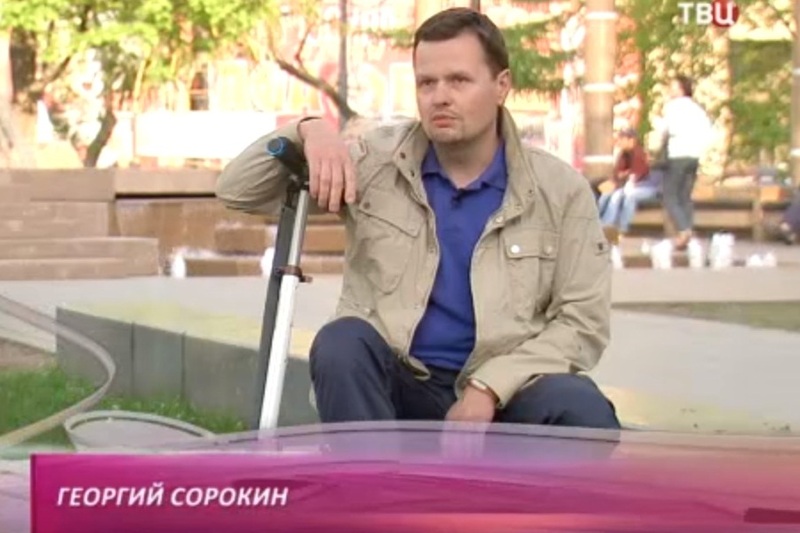 It is also possible to arrange delivery by Russian Post with a track number. © 2016-2019. 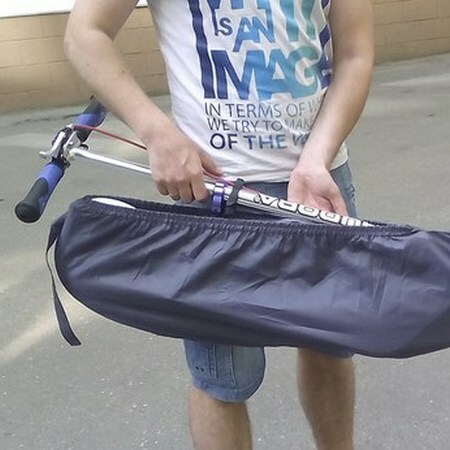 Tidy Rider. All rights reserved.